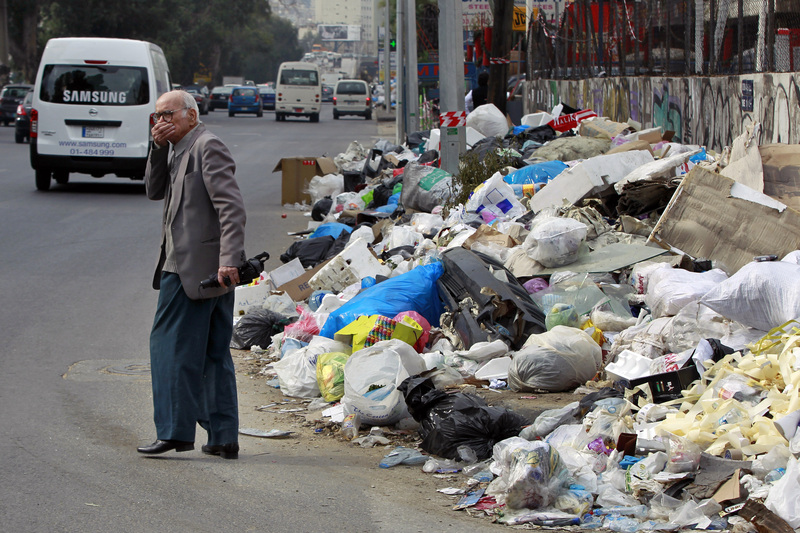 Beirut - Lebanon’s trash collection crisis which set off huge protests this summer is entering its sixth month, but you would hardly know it in Beirut. Not only are the capital’s streets kept relatively garbage-free, but the country’s politicians appear in no hurry to resolve the catastrophe. Instead, trash is pushed to the periphery, piled in hills near the mouth of the city’s river, attracting a fly infestation that has plagued Beirut’s easternmost residents since early November. On the other side of the river, trash mounds along the bank reach the height of roadway overpasses. 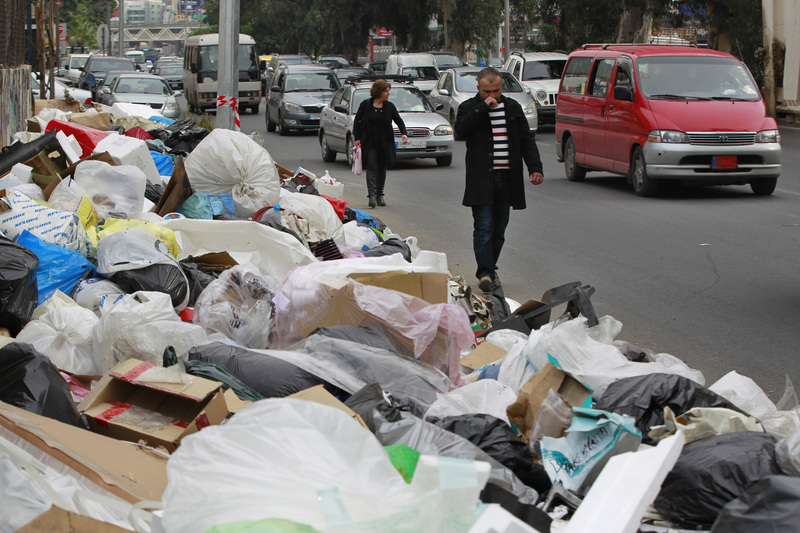 Frustration over the mounting garbage sparked a protest movement under the banner “You Stink,” an epithet aimed at the government, which brought tens of thousands of demonstrators into Beirut’s streets over the summer. 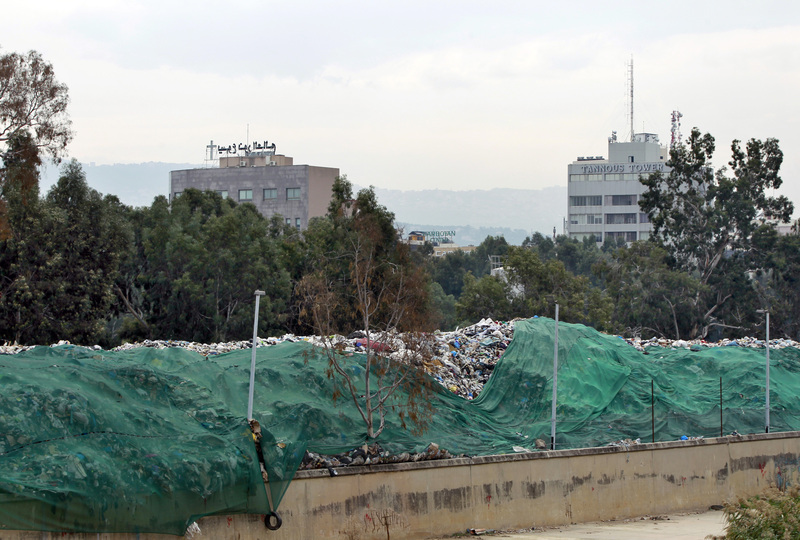 The collection crisis erupted in July after authorities closed the primary landfill for Beirut and the surrounding coastal governorate without providing an alternative. The demonstrations were a catharsis of discontent directed at the political class, which has walled itself off from popular opinion and failed to provide other basic services such as water, electricity and drainage. But those protests have largely fizzled out, owing to a mix of canny political maneuvering and repressive crackdowns. In September, young men openly identifying themselves as supporters of the country’s Parliament speaker descended on the protesters, carrying knives and throwing punches and stones. Every time demonstrators attempted to approach the parliament building, security forces fired their weapons into the air, sprayed tear gas and water cannons, and arrested dozens. To a country still accustomed to spasms of violence, twenty-five years after the formal conclusion of its civil war, the threat of disorder scared protesters off. “The political authorities played it smart to defuse us,” said Assad Thebian, one of the organizers behind the politically unaffiliated campaign. The state’s fastidious efforts to keep the capital’s streets clean also helped pacify the population. The latest initiative to solve the crisis, a proposal to export the waste, appears set to run aground, after a minister complained about its exorbitant cost. Prime Minister Tammam Salam’s Cabinet will deliberate the proposal Monday, but without a president of the republic, Salam has been hesitant to authorize decrees without consensus. 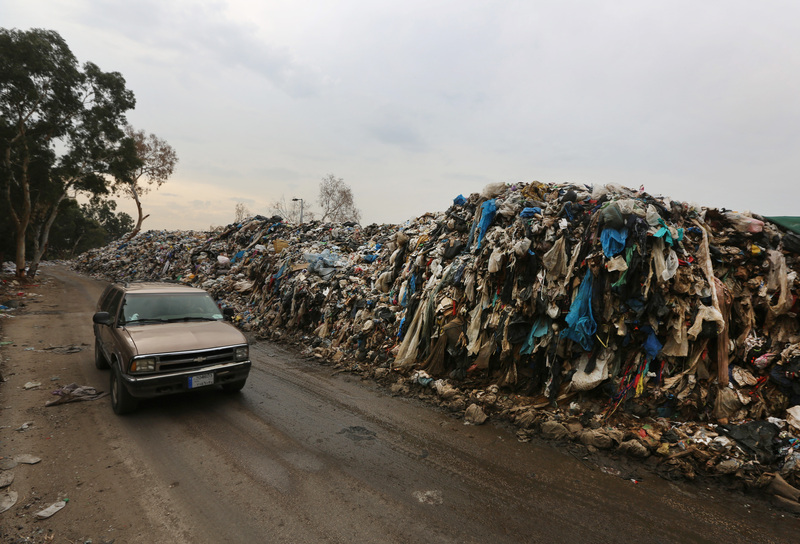 Agriculture Minister Akram Chehayeb, one of the architects of the plan, says the country has no choice but to export after a tortured national process to open new landfills collapsed. “There’s no trust in the government, so the people refused to accept sanitary landfills. And until we restart government institutions and elect a president, we are stuck with the most expensive solution,” he said. The country has not had parliamentary elections since 2009 and has failed to elect a president since 2014. With over one million war refugees entering Lebanon from neighboring Syria since 2011 and the country’s parties openly allied with rival sides in that conflict, Lebanon’s politicians say they have to move cautiously to preserve the fragile political balance. A few municipalities have launched their own recycling initiatives, but many others are simply burning their garbage, often in residential areas. Air contamination in these areas is now more than 400 times worse than pollution in the country’s industrial areas, a recent study by the American University of Beirut revealed. Rahme said the consequences can be disastrous and already gastroenteritis cases are up 30 percent since last year. “There are other diseases that can happen ... It can cause cancer in the long run and asthma in the short term,” he warned. The islamic world is falling apart from within and without, certainly Moshiach's times since the downfall of the muslims will usher in the dawn and rise of 'Netzach Yisroel', may it happen speedily !